Can I Thicken Ganache With Powdered Sugar? 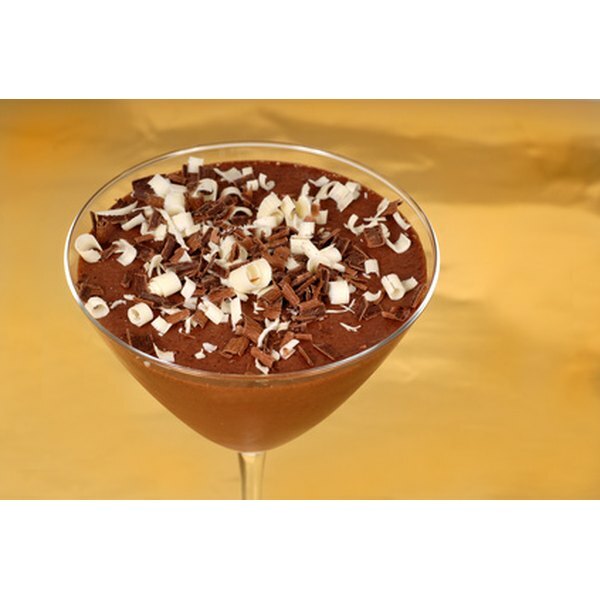 Chocolate martinis can be garnished with chocolate shavings. 4 Can I Thicken Ganache With Powdered Sugar? Chocolate liqueur is an alcoholic drink with a strong chocolate flavor. High-quality chocolate liqueur has a clear, light brown appearance. 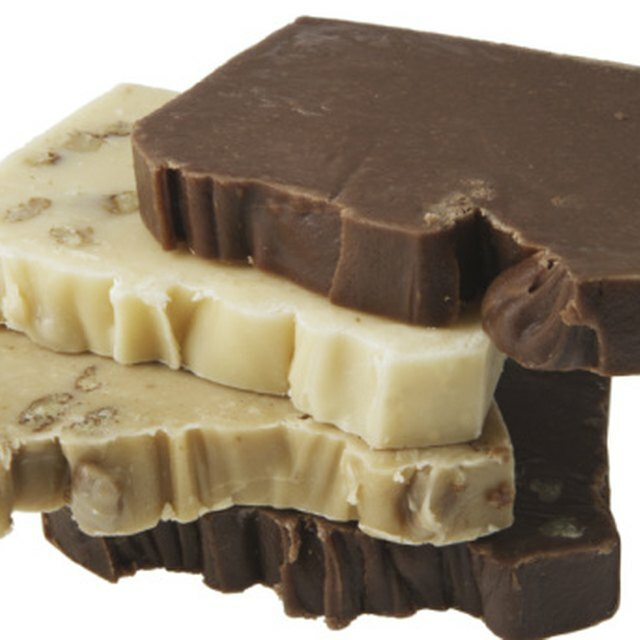 Several companies sell chocolate liqueurs commercially, but homemade liqueurs are tasty and cost-effective alternatives. Most chocolate liqueurs contain vodka flavored with cocoa, making them easy to replicate at home. Infusing vodka with chocolate creates a rich, syrupy liqueur with a texture similar to expensive commercial liqueurs. Serve chocolate vodka with a dollop of whipped cream, or make a chocolate martini. Wash a large bottle with a tight seal, such as a large canning jar. Allow the bottle to dry thoroughly before adding any liquids. Heat 3/4 cup water into a medium saucepan over medium heat. Add 1 1/2 cups white sugar and 5 tbsp. cocoa powder. Stir the mixture occasionally until it is smooth. Reduce the heat once the mixture reaches a boil. Continue stirring until the cocoa and sugar are fully dissolved. Let the mixture cool to room temperature. Slice a vanilla bean lengthwise to expose its moist interior. Place the split bean in the large jar. Pour the sugar mixture into the jar, and add 3 cups vodka. Seal the jar tightly and store it in a cool, dark place. Every two days, invert the jar several times to stir its contents. Continue stirring the chocolate vodka mixture for two weeks. Place a moist coffee filter in a wire mesh strainer. Place the strainer over a large glass container. Slowly pour some of the chocolate vodka mixture into the filter and let it strain. Change the filter when it begins to clog with sugary residue. The filtered product should be a clear, light brown liquid. Store the chocolate vodka for 30 days in a cool, dark place before drinking. Drink chocolate vodka as an after-dinner drink. Serve it straight or with a dollop of whipped cream and some chocolate shavings. Homemade chocolate vodka is a strong alcoholic beverage. Drink it in small quantities to avoid rapid intoxication. Keep chocolate vodka out of the reach of children, who may be attracted to its appearance and taste. Aurora Harklute has been writing since 2009. She works with people with depression and other mental illnesses and specializes in physical and mental health issues in aging. Harklute holds a Bachelor of Science in psychology and physiology from Marquette University and a Master of Arts in cognitive psychology from the University of Chicago. How Long Is Cocoa Powder Fresh?